I have always found Esoteric Astrology — Soul-Centered Astrology — fascinating. When doing this kind of astrology, natal (birth) charts are delineated so these questions are addressed. Why am I here at this time in history? What is my soul’s main purpose for this lifetime? How might I best accomplish my soul purpose? Detweiler continues, “We, as Soul beings, made the choice to become individualized sparks of the Source. Prior to making this decision, we existed in total union—as ONE—with the Source of all life. Those of us evolving on Earth chose to individualize by experiencing duality—negative and positive, masculine and feminine, intellect and intuition, good and evil, Yin and Yang. 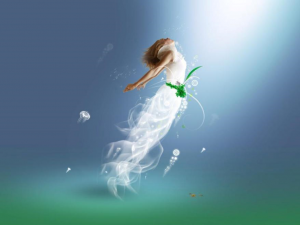 We incarnated as spirit beings having a human experience,” ( Website: Pathway to Ascension, Esoteric Astrology). Leo, symbolized by the majestic lion, is the fifth sign of the Zodiac. It is a fixed fire sign, so is very powerful. Leo is ruled by the life nurturing and sustaining SUN. The 5th House is the natural house of Leo. This house is the house of creations of ALL kinds – from the biological, like children – to creative ventures like musical compositions, books, dance choreography, or dress designing. 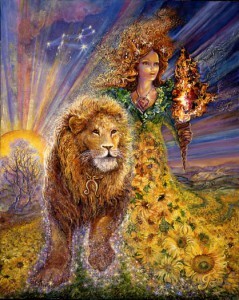 People with their Sun or Ascendant in Leo can be magnanimous, warm-hearted, creative, enthusiastic, faithful and loving. They are the monarchs among humans, just as the lion is the King of beasts. Born leaders, these people feel comfortable as CEOs, top movie and entertainment stars, or political leaders and heads of countries. They have a gift for knowing how to bring out the best in their subordinates. They know how to make everyone feel important – to feel needed — to feel good. 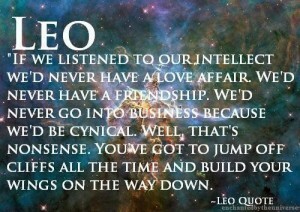 Leos are usually beneficent, humane, philosophical, and fun. Their darker side may harbor a haughtiness, or downright arrogance, however. When not balanced or grounded, they can be self-centered, snobbish and overbearing. However, no other zodiac sign can have such a magnanimous heart, or want to make the world a better place for all. Leos can light up any room by their exuberance for life and living! They are the Lovers of the world. Leos love both writing AND singing Love songs. 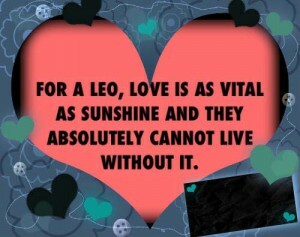 Leos and romance just go together – romance and love are what Leos are about. Because you speak to me. Because God made thee mine. This is one of those love songs that will never grow old. The third line of the final verse is quite powerful: “And pray His love may make our love divine.” I would suggest you focus on exactly what that means for YOU, in your life – right now. Let us now listen to the beautiful wedding song, Because, sung by Italian tenor, Mario Lanza, a very big motion picture star in the 1950s. Feel the love, feel the passion for the Beloved. Feel the Love for the Divine Spark within you.